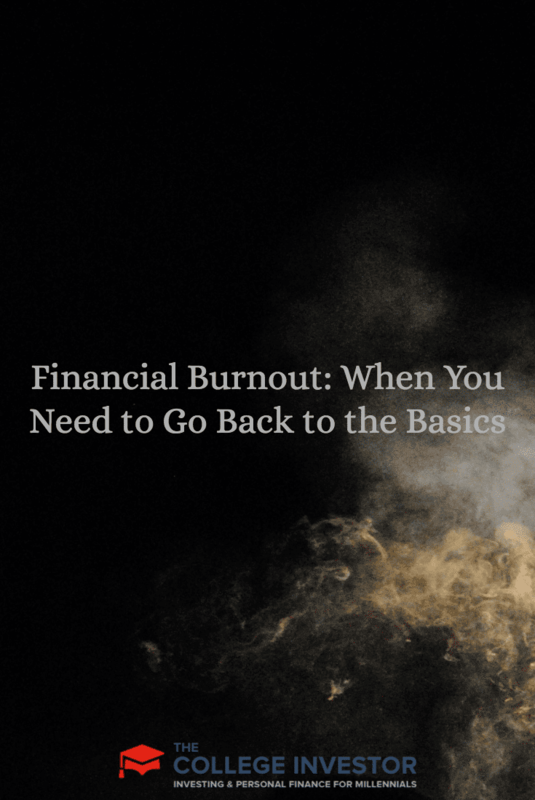 When it comes to personal finance, there are definitely times when you can feel burnout. Take me for example: I tend to do things in extremes. One month I might be tracking every dollar I spend and pinching pennies to the extreme. Then I get a case of financial burnout (and dare I say, a little laziness takes over) and begin to spend money like it’s burning a hole in my pocket. I’m a firm believer that you should do everything in moderation. But sometimes it’s so hard to stick to my own advice. I mean, I feel like my brain never stops thinking up these new things that I should be doing. That’s when I have to remind myself that I need to slow down. If you get to the point where you’re just not yourself — either spending like crazy or cutting your expenses to the point where your quality of life starts to suffer, it’s time to go back to the basics. But what exactly does that mean? These are the basics. Are the financial goals you made a year ago still relevant today? If so, great. If not, it’s time to think of what’s really important to you. Choosing the right goals is motivation to stay on track financially. But working toward goals that mean nothing to you is only going to cause you to fall off track financially. Take some time every three or four months to really analyze your goals and make sure that they’re still meaningful to you. Make a budget. But most importantly, be realistic. If you know that you’re going to spend $600 per month on food, don’t say that you’re going to spend $200. You’re only going to set yourself up for failure. Be honest with yourself. Control your budget — don’t let it control you. When you’re creating your budget, account for your goals. If you need to save $500 per month for a down payment on a house, it needs to be in your budget. Most people will agree that having a lot of debt is like having a pile of bricks on your shoulders. It’s always there and you’d feel so much better if it was just gone. I think there are a few exceptions to this rule though. For instance, if you have a really low interest rate on say, your mortgage, then your money will probably be better off going toward a different financial goal. But high-interest debt needs to go and it needs to go fast. Don’t you want to retire one day? If so, you need to save for it. And fortunately, the earlier you start investing your money, the less you have to stash away. I know it can be really hard to think that far into the future. In my opinion, the best thing you can do to motivate yourself to start saving is to look at the position your parents or grandparents are in. If they seem like they’re doing well, ask them how they went about saving for retirement. If they aren’t doing very well financially, my guess is you’ll be told how important it is that you start saving. We’re all going to die one day. That’s a fact. You get one life, so what do you want to do with it? Sure, you need to save for the future so that you can have a good life later (and not have to work in your golden years). But what matters to you now? For me, that’s family and other people. I care about being with my two daughters when they’re young. I care about developing strong bonds with all of my family members — even when that seems really hard to do. I care about helping children with terminal illnesses. I care about giving people the benefit of the doubt even when no one else will. When I die, it won’t matter if I made six figures per year or saved 50% of my take-home pay. The only thing that will matter is what kind of life I lived and where I put my priorities when I was alive — that’s something money can’t buy. Use your money to benefit you. It doesn’t matter what everybody else is doing. It only matters what you’re doing. 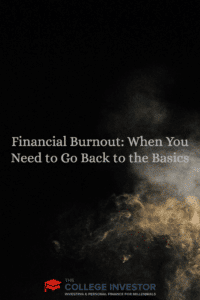 Do you ever suffer from financial burnout? Tell me about it in the comments.